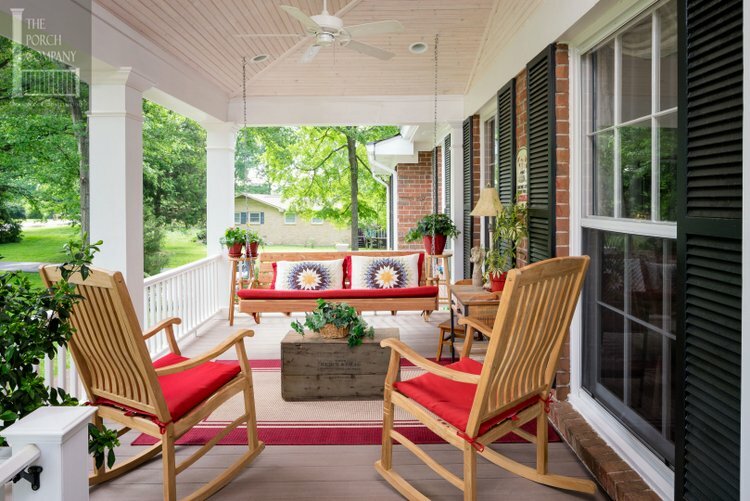 As an expert on porch planning tips, especially porches of all kinds, our friend Nancy Moore shares some tips to consider when creating your porch. Nancy is the founder and owner of The Porch Company in Nashville, TN. In this video, Nancy shares what you should consider when building your porch - and how to avoid disappointments after the job is finished. 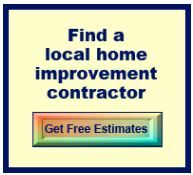 She also tells you how to upgrade your existing porch without spending a lot. My favorite part...Nancy describes her "ideal porch". She is well-versed in porch ideas. 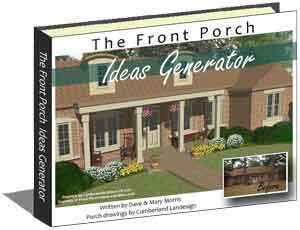 Consider how you will use your porch. Will it be mainly for entertaining or for quiet retreats? About how many people do you want to comfortably accommodate? Will you be dining on your porch? Watching tv? Playing games? Sleeping? Think about the type of furniture you'll have on your porch as well as furniture placement. 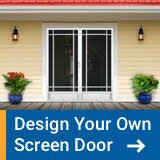 Think about traffic flow and where door(s) should be located, if applicable. Consider the orientation of your porch. Will you have afternoon sun? Will you get breezes on your porch? 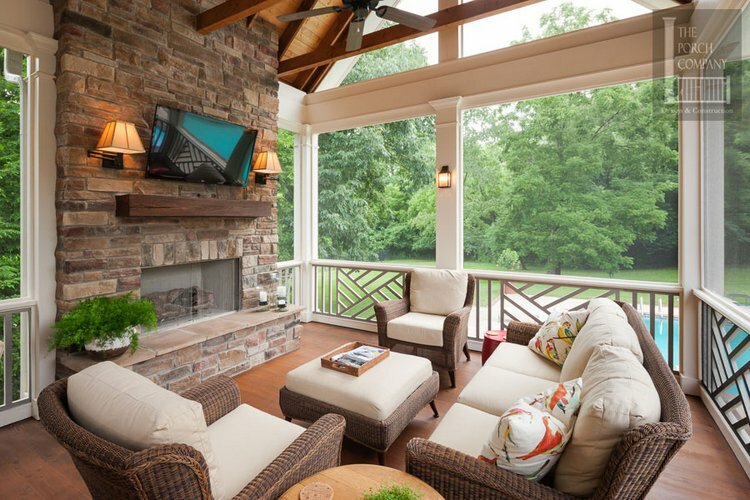 Especially for three-season porches or screen porches...what amenities will you want on your porch? A fireplace?A flat screen tv above the fireplace? A pass-through to the kitchen? Any built-in benches or nooks? A hanging bed? Paint is the"first, biggest and cheapest" improvement you can do. 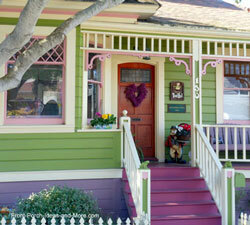 Paint your porch so that it looks like it belongs to your home. Get a nice indoor / outdoor rug to warm up your porch. Add outdoor curtains to soften the look of your porch. It has to have easy maintenance. There must be a breeze blowing all the time - either from fans or coming naturally. 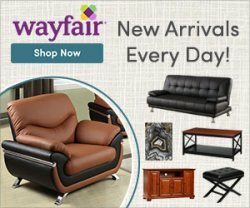 It should have really, really comfortable furniture - not just pretty to look at, but a place where you can just relax and enjoy yourself. 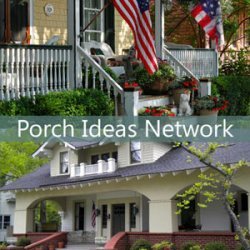 For someone who has been designing and building porches for many years, we love Nancy's awesome ideas for the perfect porch. 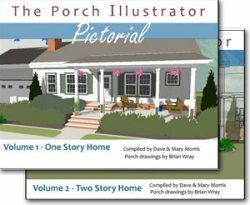 We are very appreciative of the fantastic porch planning tips Nancy has shared with us. 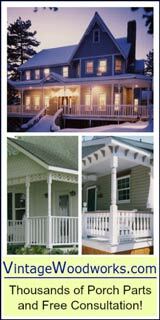 If you live in the Nashville, TN area, consider The Porch Company for your custom porch project. 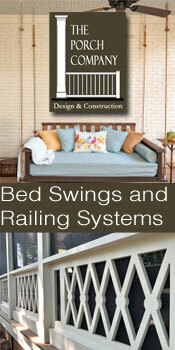 They have extensive custom porch design and building experience - and we have seen their porches ourselves. Just lovely! We think you will be delighted with their work. They are one of our fine sponsors.